You might be amazed at the vast variety of different types of limos that are out there for your use. You can buy or lease a great limo for your business needs and get a great profit off of it over time. However, you will have to spend a good deal of money to get your limo. It is clear that it will cost a great deal of money to get a limo, what with it being such a fancy type of vehicle with space for plenty of people and more tech and luxury features than what another vehicle would have. Even so, you will have to look at the total cost for a limo. Some limos are available for $20,000 to $50,000. Others are closer to a six-digit range. Regardless of how much it will cost to get a limo, you should look carefully to see what you would have to pay for a vehicle. A great limo will be the perfect profit driver but you will need to check on how much a limo of interest is worth so you’ll get a clear idea of what will come with your limo. The age of the limo is a big part of what influences the value of your limo. While any limo is luxurious, the concept of luxury has expanded over the years. What was state of the art ten years ago is essentially outdated today. The newer technologies available on modern-day limos include great points that you can’t find on an older model. Larger television sets, more elaborate lighting features and even Wi-Fi are included in many of these great newer limos. Older limos aren’t as likely to have these unique and convenient features. As a result, they will cost less money to get. For instance, a limo from 2007 might cost about $20,000 while one from 2015 will go for $60,000. The age of the limo is always going to be important to see in terms of how well the vehicle might run as well. An older limo might be at more of a risk of breaking down. While every engine is different in terms of how they work, the total cost associated with getting one ready will certainly have to be analyzed. A limousine’s engine is designed to last for years to come. A V6 or V8 engine for a limo will be designed with a strong body that will not wear out quickly. It can last for hundreds of thousands of miles if it is maintained well enough. Still, the value of the limo will decline as the engine takes in more miles. Even though an engine might last for a while and will stay active, it is still at an increased risk of wearing out and breaking down as it gets older in age. Even the smallest difference in mileage might make an impact. A 70-inch limo from 2015 with about 10,000 miles can go for about $55,000. Meanwhile, a similar limo from that same year with 17,000 miles could cost $58,000. The differential in terms of how mileage relates to cost will vary but it at least helps to look carefully at what to expect when finding a good deal on a limo. The length of the limo is clearly going to directly impact the value of a limo. A longer limo will cost more money, what with the added materials needed to make it. While a 70-inch limo could go for $60,000, a similar model that is 140 inches long and is from the same year may cost $80,000. 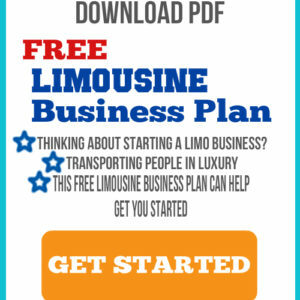 Of course, the potentials for profits will increase if you have a longer limo. A 140-inch limo can fit more people on average, thus adding to the number of people who can be serviced at once. Since you will typically charge more when a larger number of people are in the limo, the potential for you to get a better profit off of your limo will increase after a while. The assorted tech features that you will find in your limo will directly impact the cost of that vehicle. A vehicle that has more things like a larger television set, support for a massive stereo system or even a video game console hookup will cost more to get. This is especially important when looking for a vehicle that offers Wi-Fi support. Such a vehicle will cost more for you to get as the Wi-Fi involved can be very convenient for business passengers at an airport. While it is a great marketing point that will do wonders for your business, it is still a necessity to watch for what you will have to spend to get such a feature ready for your use. You will find all kinds of limo choices when looking for such a vehicle. You will come across traditional sedan-style limos but you might also find SUV limos. These include vehicles like a Cadillac Escalade or a Hummer that has been fully repurposed to be a limo. These larger SUV limos often cost more to get because they can fit more people and use bigger engines that require a greater amount of power. A Cadillac Escalade limo can cost $40,000 while a Cadillac DTS sedan limo that is from the same year and has the same mileage may cost about $20,000. Meanwhile, a party bus might cost more money. This is due to how such a bus will take in more people at a time and offer more unique features. A party bus from Van Hool or another entity might go for a six-digit total if you find an option that is relatively new. An older model will be cheaper but it will still cost a pretty penny. A Van Hool party bus from around 2000 may be found for close to $40,000. You can always get your limo customized to fit in with the particular needs you hold. A limo may be customized to work with an improved suspension, tinted windows, a new paint job and even customized wheels. The added custom features that you might add onto your limo will certainly cause it to cost more money. The total that will be added will certainly vary based on where you go when getting the limo taken care of. The customization can go further into the inside of the limo. A new leather interior and some added changes to the stereo system to make it more powerful or immersive might cost extra. The totals that will be added to the cost of your limo will still vary based on the unique features that are added. Of course, you should always talk with a dealer to see what upgrades are on the vehicle and how they might be used to make the vehicle more powerful and useful. Sometimes you might get a better deal on a limo if it has not been on the market for a long period of time. Also, the limo that you find might be worth less money if it has been sitting around on the market for a long time. A limo that is not selling might be available for cheap simply so a dealer can try and get rid of it. This is to clear out an older model in favor of a newer one that might be more profitable. The discount that may be included on the limo might make a real difference when it comes to figuring out what you can spend on it. When you buy or lease a limo, you will have to make a down payment on it. In many cases it might be worth about 10 percent of the value of the limo. It might be even higher depending on the specific limo. The added cost associated with the down payment may be rather high. However, it is to prove that you can pay off the cost of the limo. It also adds a bit of coverage for the dealer in terms of getting something back right away in the event that someone gets a loan for the limo or leases it instead of paying the entire value right away. The down payment will have to be utilized when getting a loan or lease. The value of that down payment could actually influence the cost of the vehicle in terms of its interest. That is, by using a larger down payment, you might not have to pay as much interest on the vehicle. This is thanks to you not having as much of a risk associated with getting a loan as what might happen if you only used a standard down payment. Of course, the cost will be even greater if you have no down payment. This is due to the added interest associated with it, what with you being a high-risk buyer. Be sure to consider how you’re able to actually take in a down payment before you can get a loan to work well enough for your demands or if you want to lease a limo. As great of an investment as a limousine can be, you will have to think carefully about how much money you are going to spend when getting one. The cost of your limo will be directly influenced by many important factors that deserve to be analyzed properly when you’re looking for a good model.